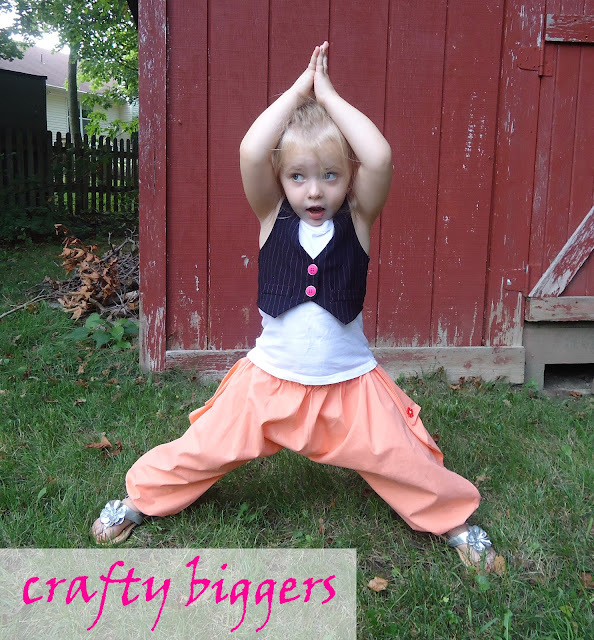 I recently had the opportunity to review the Whimsy Couture Harem Pants pattern. It is so cute. It gives me a bit of a flash back to my childhood and MC Hammer pants (you know what I'm talking about). The pattern was super easy to make and turned out way cuter than I though. Here it is. The side detail is an option on the pattern but I love it. I've been looking for a reason to use these cute flower buttons. She was sure being a ham during these pictures, but she loves her new pants and I do to. Haha! They do sort of look like MC Hammer pants. But, way, way cuter! Great job!! Lol I can totally see Jasmine :) Those are too stickin cute! That little model of yours certainly can work those pants. She looks adorable. I'll have to check out Whimsy Couture. They were having a 50% off pattern sale for back to school last time I checked. Drop by nichollvincent.blogspot.com and say hello! Have a wonderful day! I love them too but I'm not sure I could pull them off. The pattern only goes up to 5T so my oldest was upset she couldn't have a pair. She wears a 6X-7. What an awesome pair of girls pants. I'm visiting you from www.mypinterestreality.com and am passing on the Sunshine Blogger Award to you. Stop by my site to grab the button. Can't wait to keep following you. That is so sweeeet. I love it! Wow! Those pants sure are cute! 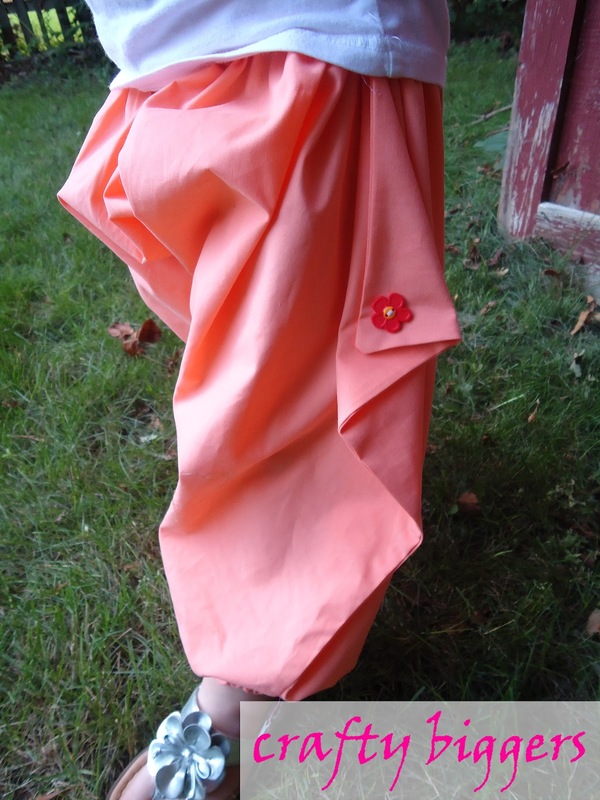 I love pants like that, that are fun and girly. They are super cute, and so is your model! A perfect match! These are super cute! Would've never thought they would be, but man, your daughter sure knows how to model them. She's adorable!! Thanks for linking up at Hookin On Hump Day! Thanks! I tell her it's time to take a picture and she just starts coming up with poses.